This site is all about our new Quarter Midget Racing Team! Austin and Kayla are both racing. This main page will have a few pictures on it as well as our schedule. 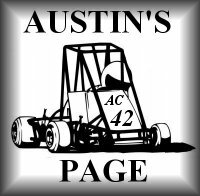 Click on the buttons below to take you to Austin and Kayla's pages where you will find more pictures and results of their races. 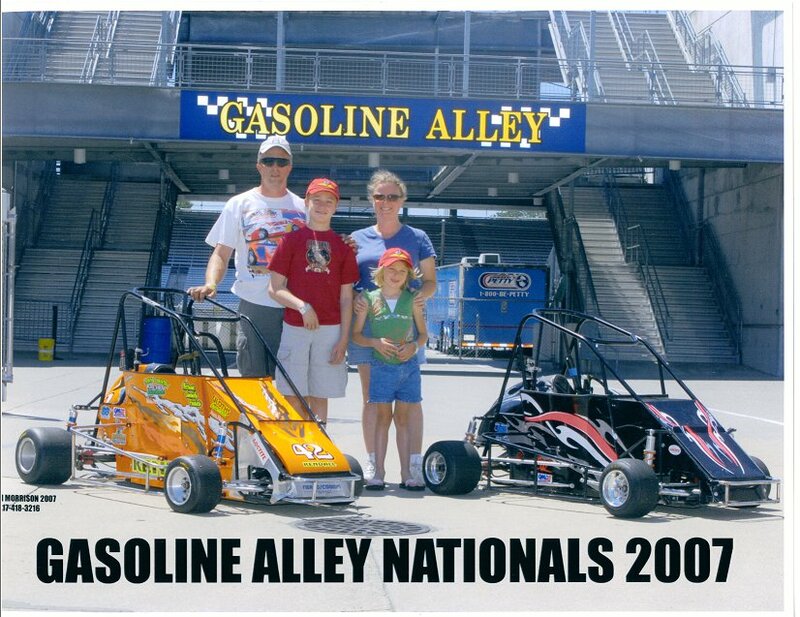 This picture is from The Gasoline Alley Nationals 2007 at the Indianapolis Motor Speedway. 2006 was our first year in Quarter Midget Racing. Austin was a Sr. Novice and Kayla was a spectator. She did not like to spectate...she wants to race too! So in 2007 we will be racing 3 cars as Austin will race 2 classes and Kayla will be a Jr. Novice. We started in 2006 by using my race hauler and staying in hotels near the track. During the year we purchased a new Toy Hauler so that we could stay at the racetrack and camp. This unit is complete with generator, air compressor, pressure washer, fuel station, indoor/outdoor stereo system, outside work lights, and all the amenities any other 5th wheel offers in the main area. The garage in the back is sealed and is 8'x9'. It is a 2006 Fleetwood Gearbox Toy Hauler and 2006 Chevy Silverado Duramax/Allison 2500HD. Click on the button below to see Austin and Kayla's website. They will open in a seperate browser.